Rival mobile wallets Android Pay and Apple Pay are set to fight it out in Japan. PayPal and MasterCard have signed a deal that will make MasterCard a payment option within PayPal. The partnership will also see PayPal being used more at POS terminals. 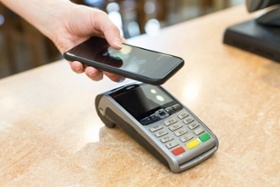 Mobile payment revolution: who’s winning? Apple, Google, and Samsung are emerging as the leading providers of mobile payment systems, as the number of transactions using mobile platforms is expected to skyrocket from $235 billion in 2014 to $1 trillion by 2019. Samsung says Samsung Pay has processed more than 100 million transactions totalling $1.78 billion in sales since its launch last year. Not one to be left out of the big trend in paying via your smartphone, Microsoft has launched its Microsoft Wallet that enables NFC contactless payments on devices running Windows 10 Mobile. While Apple Pay has the most buzz, it appears that rival Android Pay is in fact the most widely used payment app, according to new research.